When you're working with chemicals, having good grip is of the utmost importance, as accidents around hazardous liquids can lead to life-altering injuries. 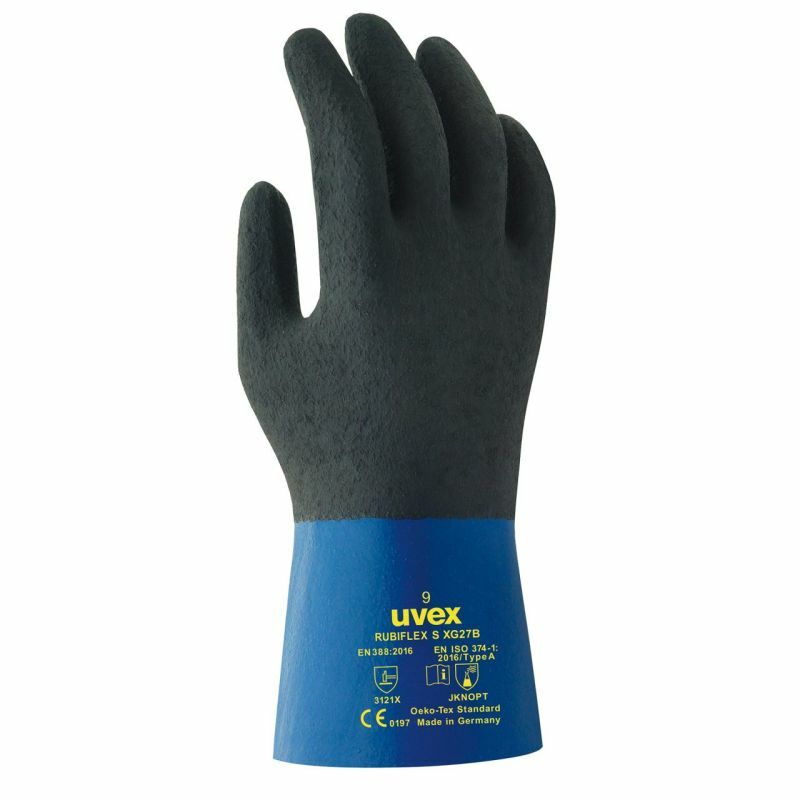 The Uvex Rubiflex S XG27B Chemical-Resistant Gloves feature a special nitrile and XG Grip coating that ensures optimal grip even in oily or greasy conditions, while their high mechanical and chemical resistance levels keep your hands safe in a range of settings. The Rubiflex S XG27B Gloves are available in four sizes that should suit the hands of most users. Please measure the circumference of your hand around the knuckles (excluding the thumb) with your hand open and your fingers together, and the length of your hand from the tip of your middle finger to your wrist.